This is an excellent long down hill par 3. 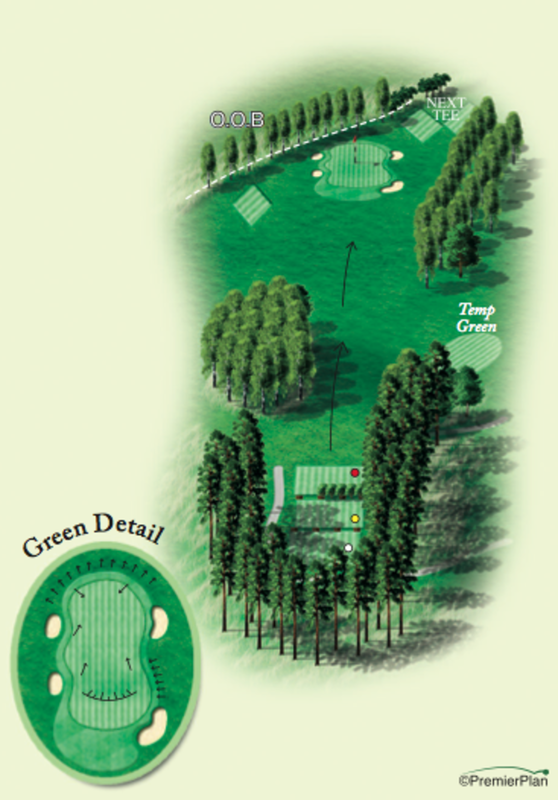 The tee shot requires accuracy between two front bunkers which guard the green. 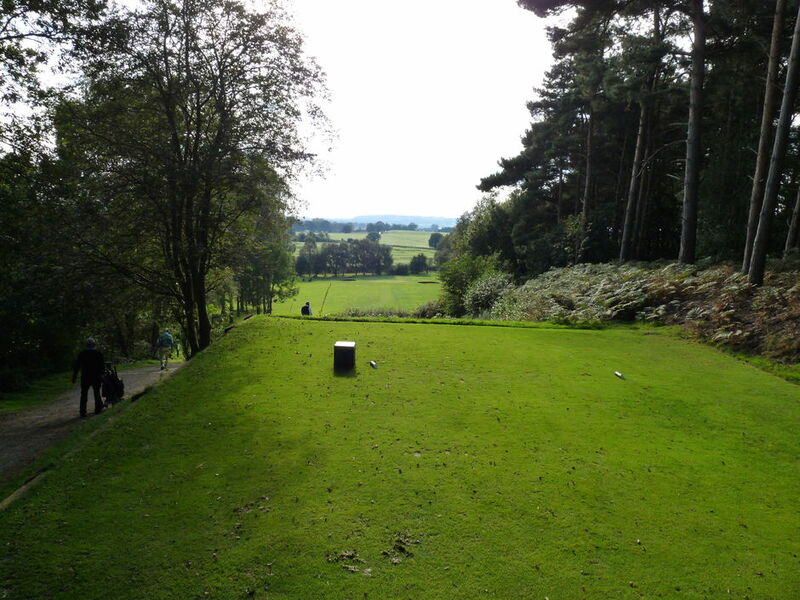 A pulled or hooked shot will generally result in a lost ball as out of bounds skirts the left hand side of the green.